Participation Rights Are Women’s Rights! 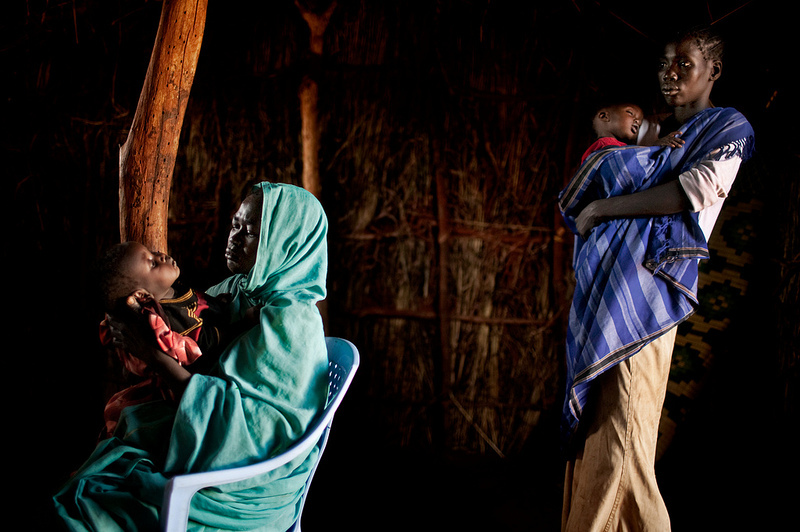 Healthcare and nutrition are some of the many ways that women worldwide invest their time and income in their families, well surpassing the amount of contribution from men (Photo Credit: Amnesty International). Worldwide, women invest 90% of their income in their families and communities; men, only 30%-40% of theirs. It’s a great stat for women’s rights advocates, because it helps us tell this story: when women participate, things change. When designed with women’s input, safe drinking water and sanitation programs function better and last longer. This, in turn, can give women back their time for work, school, or literacy training, and let girls just be girls. "The Injustice of Extreme Poverty"
Fight discrimination. The president said the U.S. will “invest in the health, education and rights of women,” and gender equality is of course crucial. But other disadvantaged groups – including racial and ethnic minorities and Indigenous Peoples – must also be prioritized. Ensure participation. People living in poverty must be the chief agents of change. It’s encouraging to hear the president say that, at the nation-to-nation level, the U.S. will stress “partnering with [developing] countries” in the development process rather than “dictat[ing]” from Washington. It should also create space for each country to ensure the participation of impoverished communities. Improve accountability. President Obama has called mutual accountability a “pillar of [America’s] new approach” towards development. That should include accountability to human rights standards in development. Respect, protect and fulfill human rights. Finally, and most importantly, the U.S. must ensure that all efforts to achieve the MDGs are consistent with human rights standards and respect the broad spectrum of civil, political, economic, social and cultural rights. There’s much to be hopeful about in the president’s speech. As his administration implements its new development policy, Amnesty International will continue to push for human rights standards in U.S. development policy and the MDGs.